Some people are immune to poison ivy and will suffer no symptoms after they’ve touched it. However, immunity can cease at any time, so you should not assume that you are immune, even if you were in the past. 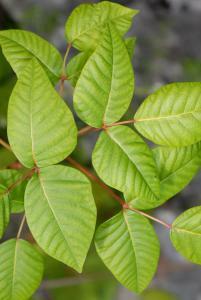 Many people think that washing the infected area will keep the poison ivy from spreading. Unfortunately, taking a hot shower or bath can actually open your pores and let the poisonous oil in. Doctors advise rinsing with cold water to prevent spreading until all of the oil is washed off of your skin. The oil from poison ivy does not lose its potency over time, so make sure you wash any clothing or tools that have come into contact with poison ivy, or you run the risk of contracting it again. If you are unable to tell if you have poison ivy, our team of professionals can help diagnose and treat your symptoms quickly and affordably. FastMed’s exceptional and compassionate healthcare providers are here to help 7 days a week, require no appointment, and strive to get you in and out in an hour or less.